Hundreds of people have helped raise over $20,000 to help a Ryerson University instructor recover from injuries suffered in the Yonge Street van rampage. 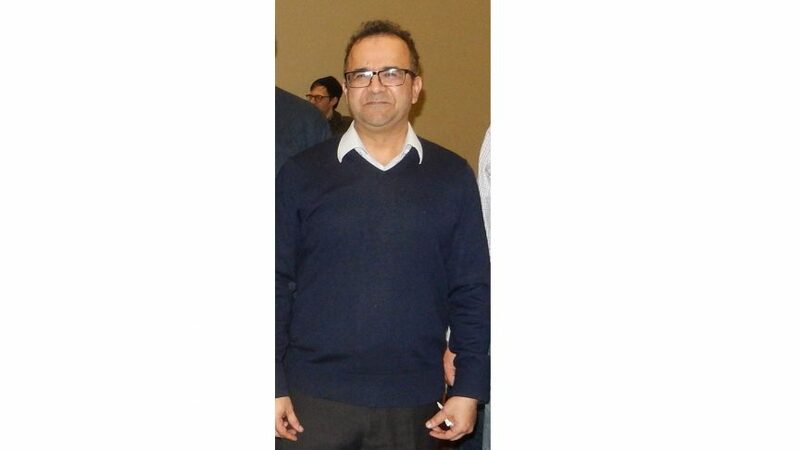 Amir Kiumarsi, a chemistry instructor at Ryerson’s Chang School of Continuing Education, is recovering in the intensive care unit at Sunnybrook Hospital after being struck by a van that mowed down pedestrians in Toronto’s north end on April 23. The rampage, which took place on Yonge Street between Finch and Sheppard avenues, left 10 people dead and 14 injured. “This is a guy who puts everybody ahead of himself,” said Rob Bajko, a colleague of Kiumarsi’s and VP Communications at CUPE 3904, the union that represents contract academics at Ryerson. When Kiumarsi’s Ryerson colleagues found out he was in the hospital, Bajko and others decided to set up a GoFundMe page to raise money for his recovery. The original goal of $10,000 was surpassed in one day. Since then, they have increased the goal to $50,000. Three days later, 474 users have donated nearly $24,000 to the GoFundMe page. Kiumarsi has worked as the steward for continuing education instructors at CUPE 3904 for four years. As a contract instructor currently in between contracts, he has no health coverage. “The outpouring of kindness and concern from everyone has been great,” Bajko said, adding Kiumarsi’s family is deeply appreciative. He said they plan to transfer the money directly to Kiumarsi’s family: Kiumarsi, his wife and three children, to cover everything from medications to physio. Dozens of people, some identifying as co-workers and students, have posted get well messages on the GoFundMe page. Others wrote they hope Kiumarsi will be able to return to the classroom soon. Kiumarsi is one of three Ryerson community members wounded in Monday’s rampage. Anne Marie D’Amico, a business grad, was killed. Sammantha Samson, another Ryerson alumn, has also been identified as one of the injured. Ryerson President Mohammed Lachemi said he encourages Ryerson community members to make use of the university’s resources, comfort one another and draw on “the immeasurable strength of our city,” in a statement about the rampage. Alleged van driver Alek Minassian, 25, has been charged with 10 counts of first-degree murder and 13 counts of attempted murder.